Like many European nations, Italy’s influence on the world stage over the centuries has always been somewhat disproportionate to its relatively small physical size. Through history, Italy has been a bastion of arts and culture and home to one of the largest religions in the world. The country has been a cradle of Western civilization, initially as the capital of the Roman Empir, and, later, as the birthplace of the Roman Catholic Church and the Renaissance Movement. Modern day Italy is a progressive democratic republic with one of the highest standards of living and per capita incomes in the world. Italy is a founding member of the European Union and a member of several influential groups, including NATO, the World Trade Organization and the Council of Europe. The country’s capital city of Rome is also its most populated city. Italy is home to Vatican City, the headquarters of the Catholic Church. Italy has the fifth largest economy in Europe and the ninth largest economy in the world. The country used to have a largely agrarian economy until as recently as World War II, when it began transforming rapidly into an industrialized nation. Italy currently has a thriving manufacturing sector and is well regarded for its high quality industrial equipment, consumer appliances, automobiles and fashion design industries. Italy also generates a lot of revenue from the tourism industry. The country has the distinction of being the top tourist destination in the world and earns more money from tourism than any other nation. In addition, Italy is the world’s largest wine producer and exporter. Italy’s biggest trade partners include Germany, France and Spain. Italy has fairly liberal car import policies. People who are relocating to the country, or are traveling there on work, study or on vacation, can import vehicles from the U.S. without too many formalities. Italy international shipping companies offer a range of automobile shipping services between Italy and the United States. Companies that offer international shipping to Italy usually transport cars in containers or on board special purpose car carriers known as Roll on Roll off (RoRo) vessels. 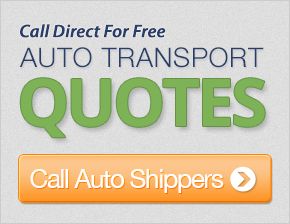 Customers planning on shipping a car to Italy or shipping a car from Italy to the United States can choose either option for transporting their vehicles. Many ports along the U.S. East and West Coasts offer container-shipping services to Italy. The cost for such shipping varies depending on the port of origin and departure. Typically, container shipping to Italy from the U.S. West Coast will cost slightly more than container shipping from a port on the East Coast. On average, container shipping to Italy costs between $1,500 and $2,000. The cost to ship a car on a RoRo vessel ranges from $1,200 to $1,600. In addition to the actual international shipping costs, customers should expect to pay additional fees in the form of custom duties and for safety and emissions testing.